I’m participating in “The Blog Commenting Challenge” hosted by Jenna’s Journey. Care to join me? Click the link! If you are new to my blog, welcome! My name is Sandy. I live in a small town in Pennsylvania with my hubby of 20 years, Mike. We have six kids: Michael(19), Brandon(17), Aaron(15), Felicia(8), Madelyn(6), and Stella(2). Oh, and I can’t forget my furry baby, our Chihuahua, Lucy! I’ve been a stay at home mom since 2007 . Prior to that I worked in a daycare/preschool which I absolutely loved. However, spending lots of time caring for other peoples children and not enjoying all the special moments with my own made my decision to leave my job an easy one. It was the BEST thing I could have done! I love being home with my kids! In August I received some news that has changed our lives tremendously. 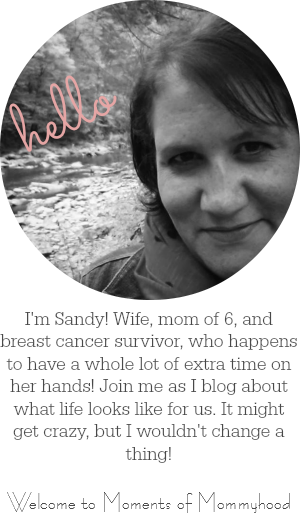 I was diagnosed with breast cancer. By the end of August, I began chemotherapy having my last treatment in December. It was rough, but I made it! I had surgery to remove the mass in my breast and my ovaries in February and just finished almost six weeks of radiation a few weeks ago. I’m feeling stronger everyday and thank God for giving me the strength to get this far. Again, welcome! I look forward to getting to know you! 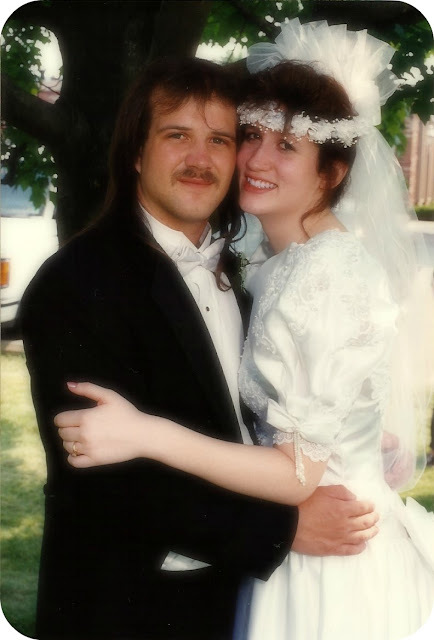 Twenty years ago today, I became Mrs. Michael Adams. Mike and I have been through many ups and downs, but thankfully, we have been through them all TOGETHER! Although we know each other very well, there are still new things that surprise me every day. His strength and encouragement through my fight with cancer is what has gotten me so far in this journey. I'm not sure I could have kept going after my first treatment without him by my side. I love him just as much today as I did the day we said "I do" and I and forever grateful to have him in my life. This past Thursday was a great day! 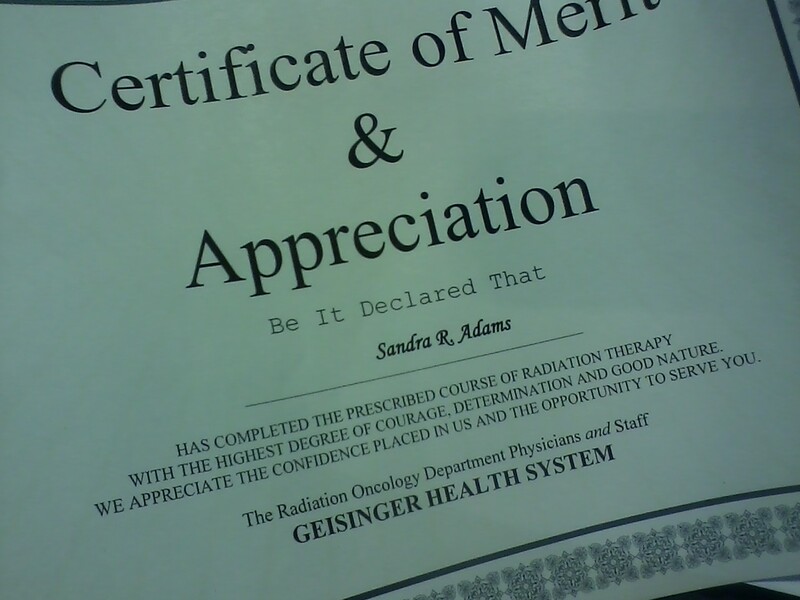 It was my very last radiation treatment!